A residence of integrity and consideration that contributes to the surrounding area. Facing Rockley Gardens, the lush garlanded facade softens the modern building creating a sense of allure and intrigue. The building traverses nature and artifice. The neighbouring park is brought into the building in the form of vertical gardens allowing residents to be surrounded by greenery. Angled mirrors on the facade reflect to passers-by the vegetation of the park, blurring the perception of what is real and reflected. Wherever you are, in the apartment or in the park, you are surrounded by an infinite image of green space. 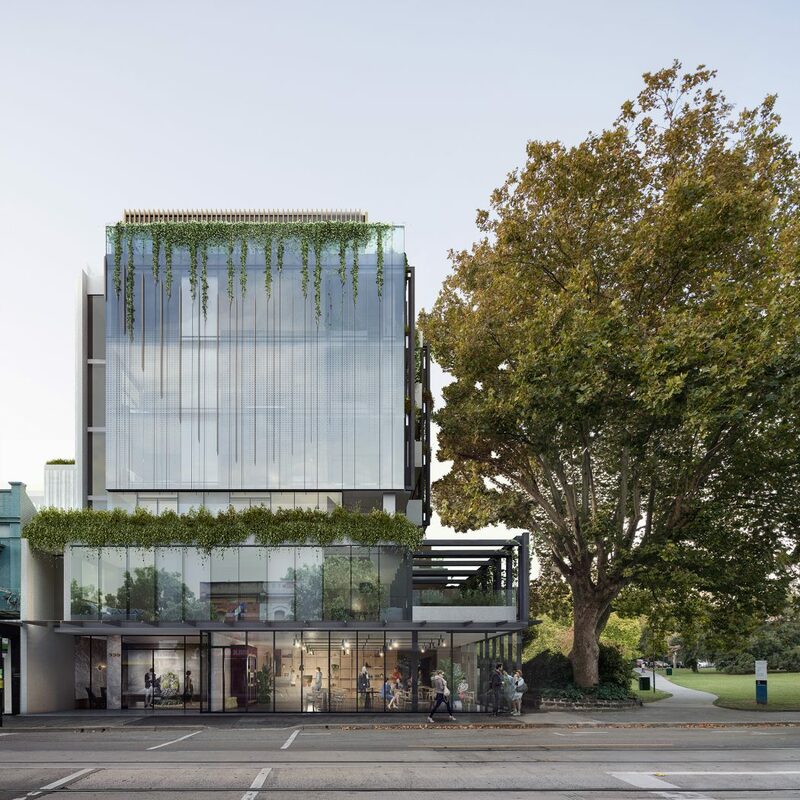 Front of the building with retail space facing toorak road.